Online customers loathing online popping ads and ready deploy ad blockers at a vigorous rate. The situation of ad blocking is rapidly escalating and it is a large and tough challenge across the global publishing. How can marketers get rid of it? What is ad blocker, how it works? Ad blocker is a software or a plug-in that eliminates ads from webpages or browsers. For most people, it takes the form of browser extensions which are nearly effortless to install. Another popular term is Ad blocking or ad filtering is eliminating or altering advertising content in a webpage. Ironically, ad blocking software is pretty incoherent, i.e. it does not block anything by default. Instead, it looks too immense on filter lists, which contain thousands of page elements like, ad serving domains that are related with ads. Since the majority of ads are served via ad exchanges or ad networks, blocking them is rarely more complex than blocking the domains of the ad servers themselves. How ad blocking is affecting advertising industry? 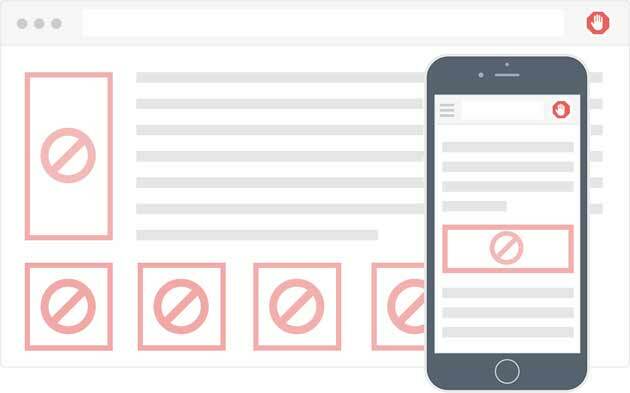 Ad blockers can target not only display ads but video ads, native ads and sponsored content widgets as well. Some content providers have claimed that rampant ad blocking results has decreased revenue to a website sustained by advertisements, where this blocking can be noticed. Some have claimed that since advertisers are eventually paying for ads to intensify their own revenues, eliminating ad blocking would only submerge the value per impression and will let down the price of advertising. They have also argued that like click fraud and impressions assisted to users who use ad blockers are of little to no value to advertisers. Thus, eliminating ad blocking would not escalate complete ad revenue to content providers in the long run. How difficult it is for publishers to monetize their traffic because of Ad blocker? Ad blocking is driving brands and agencies crazy. Simple theory: Publishers never get paid for the ads that doesn’t get served. It is said that blocked ads are always lost revenue for them. Earlier it was not a big deal when only a handful of people were running ad blockers, however, it’s a much bigger problem now because millions of people are doing so. Publishers’ anti-ad blocking measures come in a trickle form. On the easier side, some publishers may ask customers to whitelist their sites, i.e. telling ad blockers to let their ads run. Others are taking a tough approach by stopping users of ad blockers from accessing their content entirely. Some are encrypting ad server data and making it much harder for ad blockers to target it. Other offerings are ad recovery, simply serve ads anyway. Some tech serves lite ads, considered less intrusive to sensitive ad-blocking users. Others might serve normal ad loads. As the world is turning towards social media, customers look at fellow customers to inform their purchasing decisions. Instead of looking at companies, as they used to do in the past, they now look at each other and at their favorite personalities, who are merging massive followings on YouTube, Pinterest, Instagram, Snapchat, and other platforms. For these reasons, many believe in influencer marketing is the next big thing in advertising world. For the visionary marketer, the rise of the social media influencer creates pool of opportunities. It opens up a new portal for brands to connect with customers more directly, more spontaneously, and at scale. By creating branded content with social media influencers, brands can intensify their message while engaging their target audience. A publisher should definitely avoid adult popup pop under or redirecting the user to an adult page. Unnecessary download tabs or misguiding call to action tabs on the screen irritates the customer and they will sign-out then and there, as a publisher you need to be careful because you need impressions which in turn gives you lead. With new technology comes a new type of customer. Ad block users are a noteworthy. There are multiple ways to engage them, but we need to escalate and respect their motivation for blocking ads in order to bind their value to the site. Delivering appeals, testing their effectiveness, and cultivating your visitors are all services we offer at Vertoz. We provide you with customized message for your users and learn what appeals to them. But keep in mind that if you continue to show intrusive ads to your visitors, then they will continue to block ads and in turn, remain hidden. Start accessing all the hidden visitors with our free analysis. Vertoz offers services to measure how much ad blocking is charging you, as well as educating your visitors on the consequences of ad blocking.